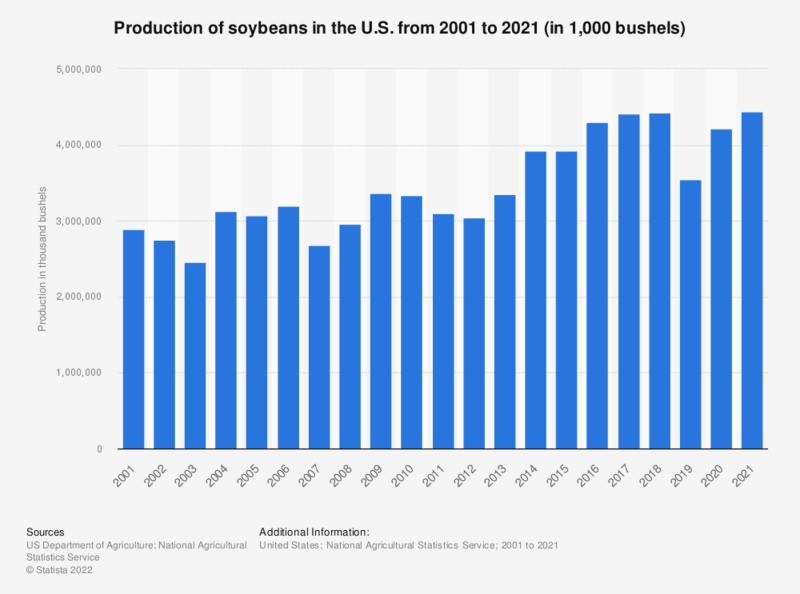 This statistic shows the production of soybeans in the United States from 2000 to 2018. According to the report, roughly 4.31 billion bushels of soybeans were produced in the country in 2016. Around 31.86 million metric tons of soybeans were exported to China that year. Everything On "Soy food products in the U.S." in One Document: Edited and Divided into Handy Chapters. Including Detailed References. Statistics on "Soy food products in the U.S."
U.S. population: How many bottles, cans or jars of soy sauce / teriyaki have you used in the last 30 days?